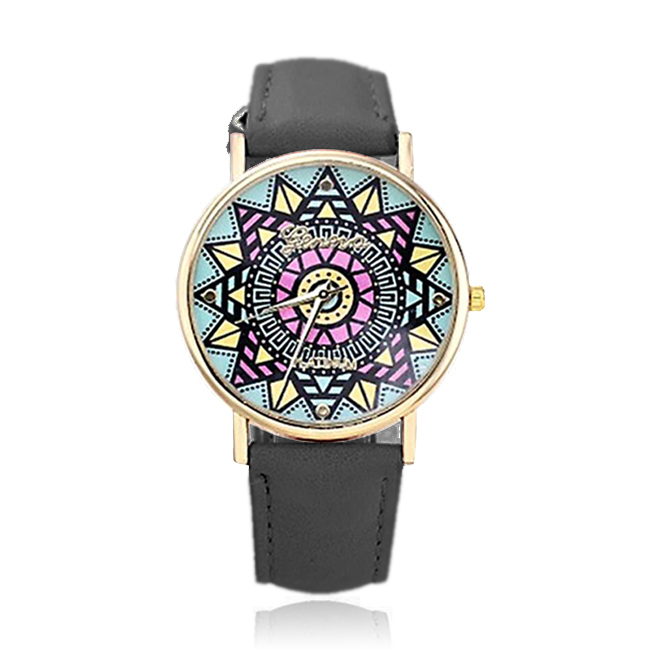 Ladies beautiful Geneva mandala style watch. This outstanding watch is eye catch and high fashion boasting an intricate mandala style pattern with textured strap. A must have accessory this summer.